VI is a black metal super group from France, featuring musicians from Aosoth, Merrimack and Antaeus. The band was formed back in 2007 and have released an EP and a split recording prior to their debut full length album ‘De Praestigiis Angelorum’. The scheduled release date was on September 25th, 2015 and the record came out via Agonia Records on both CD and 12” vinyl format. If you are familiar with the French black metal scene, you probably know what to expect from VI. 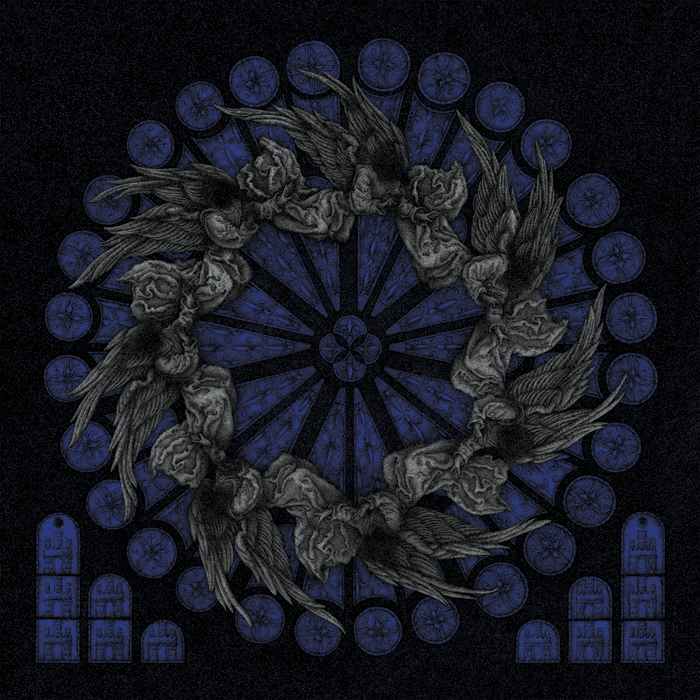 Indeed, ‘De Praestigiis Angelorum’ is replete with fast, ravaging black metal chaos with harsh, shattering guitar sound accompanied by relentless blasts and triggered bass sound. Musically, similarities can be found with Aosoth, Svartidaudi and such acts, but VI has blended their sound with sharp and dynamic guitar rhythms, some cleaner segments on torrid lead guitar background. The vocals are well done too and perfectly balanced with the music. The album is strongly produced and the layout, artwork and overall representation of the package is captivating. In short, ‘De Praestigiis Angelorum’ is a genuine music art with exquisite details and imagery. In contrast, there is very little I can say against this release. VI certainly took a considerable amount of time in composing and recording the opus ‘De Praestigiis Angelorum’. I would personally keep this album ahead of any Aosoth releases and certainly, as one of the top black metal releases of this year. If you are a fan of modern orthodox black metal, this album is a gem and you just can’t afford to miss this album. Strongly recommended. Highlights: Regarde tes cadavres car il ne te permettra pas qu’on les enterre, Plus aucun membre ne sera rendu.